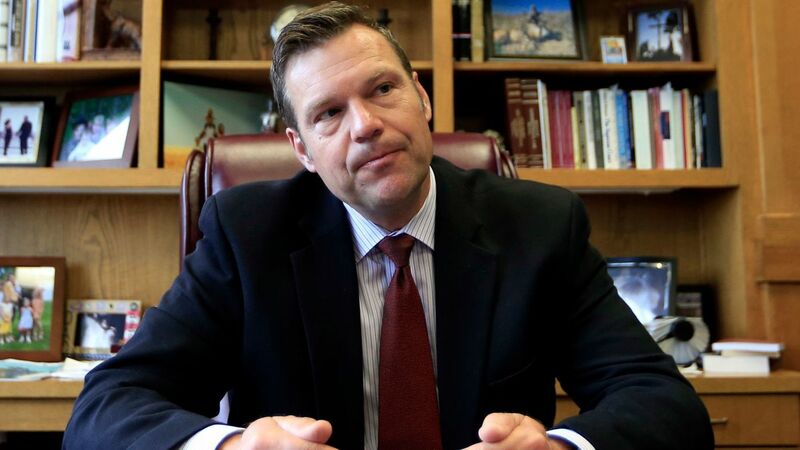 TOPEKA, Kan. (CN) — The Kansas Court of Appeals ruled Friday that a citizen-initiated grand jury petition can investigate Secretary of State Kris Kobach on allegations that he intentionally failed to register qualified voters. Petitioner Steven Davis gathered enough signatures to file a petition in Douglas County Court in August 2017. The petition sought a grand jury investigation of Kobach for destroying online voter registrations, preventing Kansans from voting, and “being grossly neglectful” in his election duties. In the appellate court’s 31-page ruling Friday, Chief Judge Karen Arnold-Burger wrote that the Douglas County Court erred in requiring specific facts in Davis’ petition: that Kansas law requires only general allegations to bring forth a citizen-initiated grand jury petition. “Davis has met this standard,” Arnold-Burger wrote. The judge said a grand jury petition is meant only to investigate possible crimes, and does not require specific facts. Kansas is one of six states that give citizens the power to request grand jury investigations. Under state law, a petition must have the signatures of 100 registered voters as well as 2 percent of voters who voted in a county’s most recent gubernatorial election. Kobach’s office did not immediately respond to requests for comment Friday. The American Civil Liberties Union sued Kobach on behalf of voters who were denied voter registration in a case challenging the state’s voter ID law. Trial was held in federal court in March and is awaiting a decision by U.S. District Court Judge Julie Robinson. Kobach, who is running for governor, insists that the law prevents noncitizens from illegally voting. He was the driving force and vice chairman of President Donald Trump’s Commission on Election Integrity, which Trump created to buttress his claim that he lost the popular vote for president by 3 million votes in 2016 only because of voter fraud. The commission was dissolved before it ever met. Arnold-Burger was joined on the panel by Judge Henry Green and Judge Daniel Hebert.